Magnificent gallery! Thank you for this wonderful tour of this lovely island! V! Simply wonderful tour, Petros. You're a great ambassador for them in these difficult times. An amazing journey to Santorini through your excellent eye ! BV. Great Images, wished I lived there to take some photos there. Very artistic gallery full of very creative composition. The light is extraordinary! Un endroit ou je rêve d'aller. Beautiful images Petros ! Great compositions and color. The mood is so wonderful in this gallery...a photographer's paradise, great job Petros! Great collection, beautiful images, Voted. Wonderful photos. Thanks for sharing. Wooohh !!! Fantastic gallery, congratulations ! every frame is a fastival for the viewer. Excellent work ! V ! A gallery of gems! Not a single inexpressive picture! V.
top gallery! Vivid colours and strong compos. V.
Santorini is a beautiful island, and these photos really do it justice. A fantastic gallery! v.
Excellent gallery , all images are the cream of the crop pick for your presentation. Really belongs in the favorite gallery if not there already. Very nice gallery. Excellent composition and colours. A moment of holydays !! What a great gallery! Thank you for sharing! 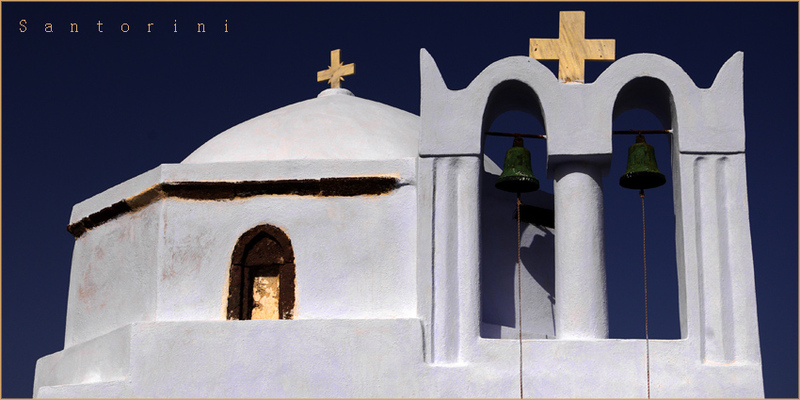 The beauty of Santorini is excellently captured in this gallery. V.
Hoping to be in Santorini in Summer of 2010 and this gallery makes me want to be there even more now. Excellent! V! Wonderful gallery Petros - absolutely all of it National Geographic quality! Can't wait to see the rest. Big Vote!!! WOW timeless breath taking images with details and more. Awesome pics! I hope to visit Santorini some day! Your photographs are really inspiring! Thank you! Alway a pleasure coming back to this gallery, too bad I cannot vote twice.. This is a beautiful gallery of top photography - I watched in slideshow mode and loved them all!!! Big vote!! The stuff of Travel Brochure covers. Makes you want to go there! Fantastic gallery! This is what photoghraphy is all about. never been to and each photo tells us what it's like to be there. I wish I were there. Voted. Simply stunning Petros, you have allowed me to appreciate your part of the world! The praise you have garnered for this exquisite gallery is fully deserved. You have assembled a fine collection of well composed and photographed images. Great work! Awesome gallery, photography and location! A superb gallery. Wonderful colors . Very interesting. You have a great talent. a gallery of postcard perfect images. breathtaking. voted. So beautiful ... I 'm speechless ... Big vote. Words fail me. I think we share a piece of heart. probably the best gallery i have ever seen here on pbase. you earned my compliments, and respect for your talent. Amazing gallery. Big vote Petros. A magnificent gallery. It was a wonderful trip, going through your pictures! It's a beatiful gallery Petros. Fantastic colours! What wonderful views. Simply magnificent! Love the colors. Amazing! Like yours very much. Santorini is beautiful enough without you having such a wonderful gallery! I hope you feel at least a little guilty, now we are all dreaming of this little piece of paradise v:-). Petros, as usual, you have another great gallery here. Santorini is one of my favorite spots on this planet....a magical place, and you make it all the better with your photos. an abundance of beautiful, well constructed images. your gallery is a feast for the eyes. voted. I came back for another visit. Wonderful !! HOPE ONE DAY TO VISIT THIS WONDERFUL COUNTRY. Absolutely wonderful, great colors and light. love how you "tame" the light..
but few shot I saw - are AMAZING!!! You have done a magnificent job....I would love to be there tomorrow ! Outstanding gallery, wonderful colors and compositions. Congratulations! a wonderful collection of images of this beautiful island! V.
perfect compositions and light! V.
What a wonderful gallery full of beautiful and inspiring captures!!! Great gallery with wonderful images. V.
What a dream place to visit. Petros, this an impressive and very fine work of yours. Congrats and vote. Very nice gallery! So many great pictures. Thanks for the BELLE VISTE, thanks for the colours.....THANKS!!!!! I know I would love Santorini with your eyes. A lovely place to be. Very nice series of Greece. Love the coloures and variety of your photos! WOW! What a splendid gallery. I must visit Santorini someday. Ah yes the simplisity of white. Very nice. Iv'e already voted for this great gallery, I just love your work. Had to have another visit. Cheers. Another stunning gallery Petros. Definitely one of the places I want to visit. V! Wonderful images - you make me very envious for my daughter is going to stay in Santorini at the end of this month. And I also have some dear friends who are stopping by on a Cruise ship too soon. A location we all dream of seeing and shooting one day. Beautiful work! Awesome gallery. Only hope one day to visit!!! Thanks for stopping by and the kind words about my shots. amazing gallery - the colors are simply stunning. VERY good work! What a wonderful gallery of an excellent island. V!!!! Fantastic gallery Petros .....big V !! Beautiful gallery Petros! Your photos make me want to visit this beautiful island. Beautiful gallery and excellent composition! Thanks for sharing the photogenic sides of Santorini. Beautiful compositions. What an extraordinary gallery of beautiful images. I just booked my plane reservation for Santorini!!! Beautiful gallery, Petros! I love your compositions, these images are a pleasure to look at. Unbelivable gallery. The least I can say is that you are exploting the maximum out of your small camera. "The pen is not the writer, the brush is not the artist, the camera is not the photographer." this is my favourite gallery ... i love greece very much and you bring greece in my house ... thank you ... Happy New Years !!! Very creative and clean composition. Excellent! Superb gallery of captivating images!! Voted! Your photos are amazing,try some night shots in Greece. Lighting and framing are outstanding. Great island and you made great shots. V.
I was there but not with a digital camera, I want to go back when i see those pictures. Lots of superb shots ! Voted ! awesome gallery of very beautifully and creatively composed images ...thanx for sharing. A beautiful place and beautifully recorded! Next time in Greece I'll go to Santorini for sure! It's beautiful, pure, bright... on your photos! Awesome gallery of a beautiful island ! Voted ! Selamlar !! izmir türkiyeli bayanlarla tanýsmak isterim.msn adresim asagýdadýr. :)) saygýlarýmla. Absolutely wonderful shots , lots of votes from me !!! A photographer's dream, as well as a traveller's. This ought to sell a few cruises. Excellent gallery, good work Petro !!! Spent a week on this island in 2001 and your pictures made several fond memories from that trip resurface. Beautiful island - stunning photos. Thanks for sharing! The question is how come there is never any people around? Very good galery, great images for a good place. V.
Very nice work! Great images! Very nice picture, this is the place I want to go in my next trip. When I imagine Greece this is the look I have in mind. White and blue and peacefull. Exceptional photography from a loving place. Each one of them is really great. V.